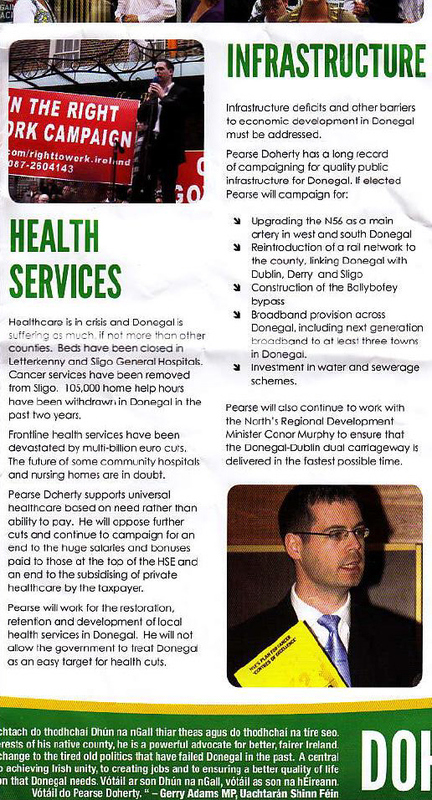 From the 2010 Donegal South West By-Election a leaflet for Sinn Fein Candidate Pearse Doherty. It was Dohertys High Court Action that led to the holding of the by-election. In 2007 he came very close to winning a seat polling over 21% of the vote. 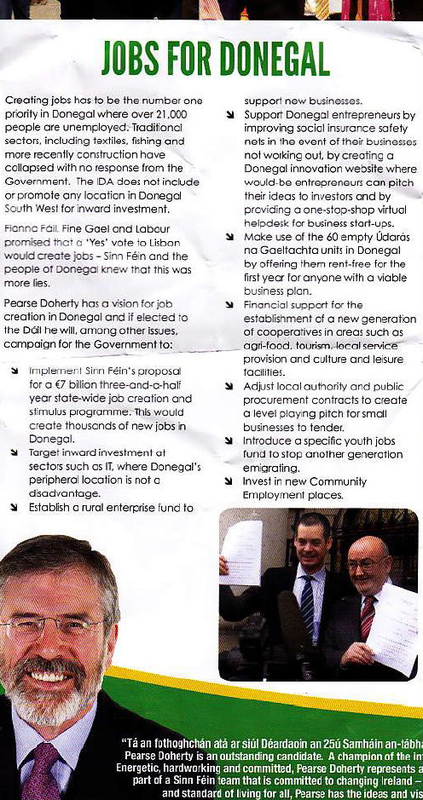 He was subsequently elected to the Seanad. He is seen as having a great chance of winning the seat at the by-election.